Get Your Gym Cleaned by the Professionals in the Industry! If cleaning quality and expertise is what you are looking for in the cleaning of your fitness center or gym, then we are the right company for you! At Cleaning Services Toronto we ensure that your fitness center is kept absolutely clean and well sanitized in order to ensure higher health standards which can be availed by all of your customers. You may be familiar with the fact that unsanitary conditions make it convenient for all sorts of germs as well can look bad to your customers. The higher the traffic, the greater are the chances of unsanitary conditions leading to growth of bacteria which is the reason you need to keep your gym and fitness center sanitized and constantly clean. This is exactly what we at Cleaning Services Toronto Pros focus on achieving when you choose to hire us. We will apply the finest and the most effective cleaning practices inside your gym or fitness center to make sure that none of the unhygienic conditions prevail once our team is done. What Are The Crucial Areas To Clean? Due to high traffic, locker room happens to be an area of your gym that has to go through extensive cleaning practices constantly in order to promote hygienic conditions within the premises. This is where our team can step in. At Cleaning Services Toronto Pros use industrial cleaners in order to make sure that the area is sanitized and germs are eliminated. 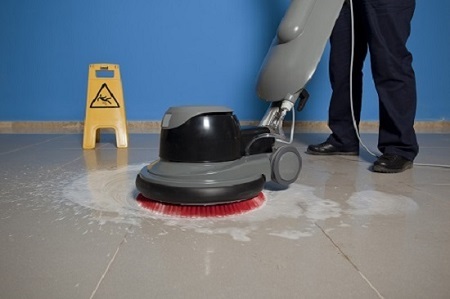 Our cleaning team applies professional cleaning solution on the walls and floors of the locker area as well as on the shower shells for a complete cleanup. Our effective cleaning products are capable of penetrating deep into the areas where bacteria and germs accumulate and help eliminate them. We focus on all of the critical areas of the gym and health center that have a tendency to build up bacteria and other pathogens and apply out specialized techniques. A gym or fitness center has a number of different training equipment. Such equipment may include and is not confined to the weights, benches, and treadmills. Since customers use these equipment constantly for training and naturally they sweat and perspire over these equipment, therefore it is likely that bacteria and germs build up on the surface of these equipment. Additionally, there is always a risk that chemicals, fungus and other pathogens are transferred from one customer to another that can possibly lead to unhealthy conditions and disease. Therefore it is very critical to clean and sanitize these equipment appropriately and constantly to eliminate possibility of these transfer and keep the environment healthy and safe. This is what is accomplished by our team via utilization of industrial cleaners and effective cleaning solutions. By the time that our team is done, all of the equipment in your gym or fitness center will be absolutely clean of all sorts of different unwanted bacteria. Rest assured, we have the finest cleaning practices to offer and customer satisfaction is always kept as our top most priority. Our team has a vast amount of knowledge and experience and we will ensure your needs and your clients needs are met.